Dancing in Charlottesville: Get Your Groove On! Whether you want to go out dancing with friends on a Friday night or want to get some exercise in, there are several places to go dancing in Charlottesville. Dancing isn’t just good for your health, it’s good for the soul too. Release all that pent-up energy and just move your body to the music. It doesn’t matter whether you have dance moves like Napoleon Dynamite or Shakira, there’s no better way to improve your dance moves than practicing! Here are some of the top spots to go dancing in Charlottesville. Situated on the Downtown Mall, the Jefferson Theater frequently hosts 18+ dance parties, with music from a variety of decades including the 80s and 90s. On February 1, DJs Will Eastman and Brian Billion will be putting on their famous No Scrub 90s Dance Party, featuring hits from the ever-popular Nineties-era including songs by top artists Nirvana, Biggie Smalls, *NSYNC, Snoop Dog, and Spice Girls. Tickets are available in advance for a discounted price of $10 or at the door for $12. This 90s dance party starts at 9:00 p.m., so grab a bite to eat or a drink on the mall before getting your groove on. Try Latin-style dancing with Bachata Fusion at the IX Art Park! The Charlottesville Salsa Club puts on the event every Wednesday with lessons beginning at 8:30 p.m. before the dance party. Originating in the Dominican Republic, bachata is a dance widely celebrated throughout many Latin American cultures. Known for being a sensual dance, bachata has modernized over the years from the traditional nylon-string Spanish guitars and maracas. If you’ve never tried this popular style of dance, venture out to the IX Art Park on Wednesday evening to see what all the hype is about! Although Charlottesville isn’t known for its club scene, Rapture Restaurant & Night Club is one of the few places in town that have dance parties every Friday and Saturday night. With music from local DJs and bands, the night club gets pretty busy on the weekends. If you aren’t into modern music, the last Friday of every month is 80s night. So bust out those leg-warmers and headbands for a fun-filled night of 80s music! 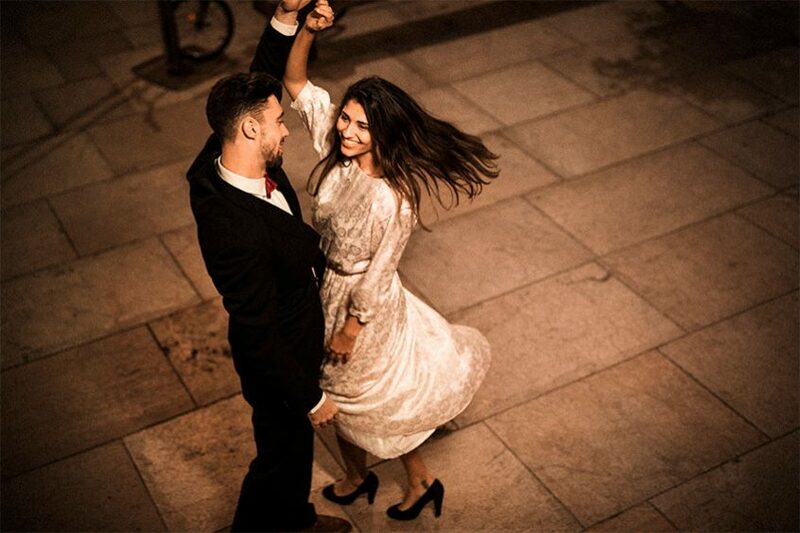 If you prefer a more classic style of dancing, there are several studios in Charlottesville that teach ballroom dancing, swing dance, and more. Even if you aren’t a confident dancer, it’s still fun to get your body moving to the beat!